The "50 Years of Funk" tour by Grand Funk Railroad hits Chinook Winds Casino to play its rock and roll in a pair of concerts March 29-30 at Lincoln City. Grand Funk formed in 1969 in Flint, Michigan, with Don Brewer (drums, vocals) and Mel Schacher (bass) along with Mark Farner (lead guitar) as a trio. Their first album, "On Time," sold more than 1 million copies. The band had two No. 1 hits: "We're An American Band" and "Do the Loco-Motion." It also released six other top-40 songs, including "Some Kind of Wonderful," "Bad Time" and "I'm Your Captain." Brewer and Schacher remain with the group, which now includes lead vocalist Max Carl (.38 Special), lead guitar Bruce Kulick (Kiss) and keyboardist Tim Cashion (Bob Seger, Robert Palmer). 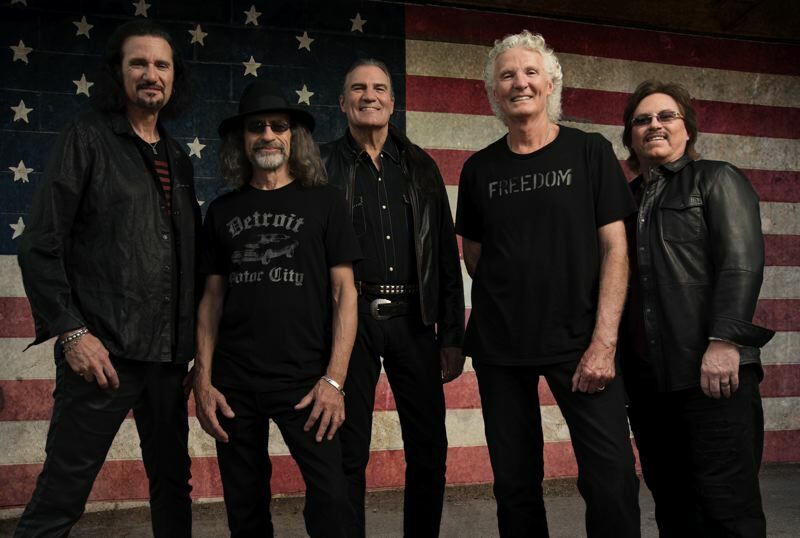 Grand Funk is on track to do 45 to 50 shows this year, including at Chinook Winds. For info/tickets: www.chinookwindscasino.com. Tribune: Any memories of playing in the state in the past? Brewer: We have done quite a few different things in Oregon over the years. Some fairs. I've been up there with Bob Seger. Grand Funk has played in Portland several times. It's beautiful country. I love that area. Tribune: This is your 50th anniversary tour. Is it hard to believe you've been doing it that long? Brewer: Yes, especially when I think back to when we started. I was 19 years old. I'd look at 40 and think, "Gee, I don't want to live to 40. That's old." Now I'm 70 and doing what I set out to do when I was 13. Wow, it's pretty amazing. Tribune: How strong is this current incarnation of Grand Funk with Mel along with Max, Bruce and Tim? You guys have been together for almost 20 years. Brewer: Since 2000. We still like each other, which is incredible. The band is better than it's ever been. We get out there and put on a great show for the people. It's always fun. We have a good time. It shows on our faces, and it shows on stage. The people hear that and see that. Tribune: What was it like growing up in Flint in the '60s? Brewer: It was a small town back then, a factory town, all GM (General Motors). Everybody I knew had a dad working in a factory. My mom was a schoolteacher. My dad owned a small oil distribution business, servicing car dealerships and gas stations. I had a great upbringing. We actually lived in Swartz Creek, a suburb of Flint. I started my first band in the house where Grand Funk was born. Tribune: How did you learn to play the drums? Brewer: I was self-taught. My dad was a drummer during the Depression. He would supplement his income playing in a band in a bar on weekends. When I started showing interest, he immediately jumped on that. He got me a drum kit, and we'd listen to records and he'd show me what the drummer was doing. I was in the high school band, but before that I had a band in elementary school. I was a guitar player at first. We'd play at lunchtime in the gym when I was 11 or 12 years old. I got bit by the rock and roll bug when I saw Elvis do "Blue Suede Shoes" on the "The Ed Sullivan Show." That sealed the deal. I wanted to be in rock and roll from that point on. Tribune: I've always thought one of the hardest things to do in music was sing and drum at the same time. How do you do it? Brewer: Luckily, I learned to do both at the same time. If I'd been just a drummer first, it would have been impossible, but I was always one of the singers in the band that I played in. It just came natural. In one of my first bands, I used to stand up in the kit and sing. We were doing The Beatles and Rolling Stones and Chuck Berry and Little Richard. Tribune: What was it like playing a sold-out Shea Stadium in New York in 1971? Brewer: Truly a rock and roll fantasy. It was like, "Pinch me if this is real." We were flown into the stadium in a helicopter while Humble Pie was on stage. It was, "This can't be happening. We're from Flint, Michigan. Everybody knows our names. Unreal." It was totally out of the spectrum of anything you could imagine. It was actually scary. I had incredible butterflies before we took the stage. What could go wrong? Everything. We have that whole show on film. It's an amazing thing to watch, it really is. Tribune: When you wrote "We're an American Band," did you have any idea it would become the American anthem that it is? Brewer: Not really. I didn't even understand why anybody would like it. We were going through a real tough time. (Former manager) Terry Knight was suing us. Radio was changing from underground to a hit format. You had to start writing three-minute-long hits to stay on the radio. Before that, we were an underground band, with seven- or eight-minute songs. When that happened, we enlisted Todd Rundgren to help us be more radio friendly. I wrote the song around things happening on that tour. I remember thinking, "We're coming to your town; we'll help you party it down." We had the great bluesman Freddie King as our opening act. We were playing poker, up all night, so a line was, "Up all night with Freddie King, I gotta tell ya, poker's his thing." I picked up the guitar — I know four chords on the guitar, and all four are in the song — and put the song together. Tribune: Rundgren produced two albums for you. What was it like working with him? Brewer: I loved working with Todd. We flew him into Flint. We had a little studio built across the street from where Mark Farner had a farm. Todd stayed with me in my apartment. He had multi-colored hair — blond on top, bright purple and neon blue in the bottom. He looked like a freak. I had an Afro. The place went dead silent as we walked into a 7-Eleven one day. It was an amazing experience working with him in the studio. He made everything sound so incredibly good. Tribune: How long did you play with Bob Seger's Silver Bullet Band? Brewer: Off and on going back to 1982. I did five tours with them from 2006-16. 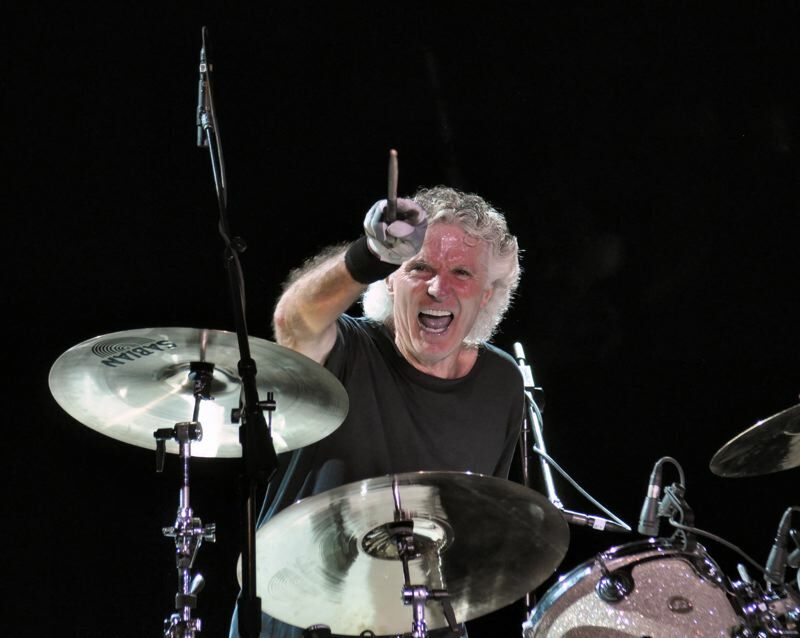 Now Grand Funk is doing some shows with his band. I was there for his induction into the Rock Hall of Fame. We have a history together. Tribune: Do you still enjoy playing live shows as much as you used to? Brewer: I do. I love getting up on stage. They let me make a fool of myself up there. It's great. I love the fact that generations of people know the words to our songs — grandparents and parents and grandkids, they all sing along to the songs. It's just a thrill. Tribune: What kind of show will the folks see at Chinook Winds? Brewer: I'd like to say a high-energy Grand Funk Railroad rock and roll show. We do all the hits, as well as a couple of new things that we throw in as show-stoppers. Folks, get up and have a good time. Smile. Sweat. The music is very uplifting.